Real estate land contracts have both strong pros and cons. The contract is an agreement between two people to sell a parcel of land or a home. The buyer takes possession of the real property but title remains with the seller until the buyer fulfills the terms of the contract. 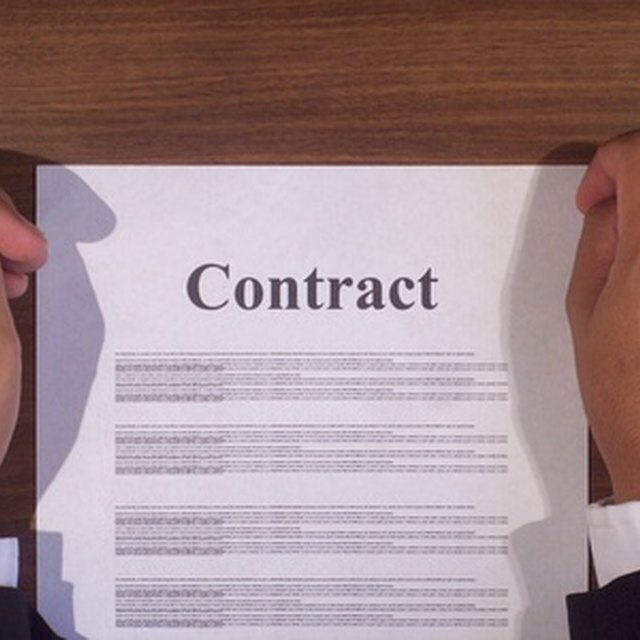 Like all contracts, if both parties meet their obligations, everything goes well. Failure of one or both to honor the contract leads to problems. For a seller, a real estate land contract widens the possible pool of buyers. Credit problems or lack of a down payment keep many buyers from obtaining a mortgage. They can enter into a land contract which allows possession of a home quickly. The seller makes a fast sale without the hassles of a mortgage lender. The seller can obtain better terms from a buyer. The seller is also able to spread his income over a period of years as opposed to a lump sum payment at closing. The seller also receives a down payment that the buyer forfeits along with his regular payments if he fails to honor the contract. In addition, a large down payment serves to make the buyer less likely to default. The reasons that a real estate land contract is a good idea for the seller are the reasons it is a bad idea. The buyer who could not get a conventional mortgage may be prone to missing payments. After getting behind, the buyer may walk away from the property. The seller still owns the property, but the buyer may have damaged its value. The seller has to make repairs which may exceed the amount of payments received. Besides the same pros the seller has, a buyer always has the right to secure a mortgage and pay off the seller in full. Thus a buyer who anticipates an improved credit score in the future can buy a home sooner and then take out a mortgage later. This allows a buyer to purchase property that may not be available at a later date. Any down payment and some or all of the regular payments made by the buyer can be used as equity when obtaining a mortgage. The greatest danger for the buyer is the inability of the seller to provide good title at the end of the contract. This could happen for several reasons. A judgment creditor of the seller could place a lien on the property. The seller could be forced into bankruptcy or become involved in a divorce that prevents the seller from executing a deed. A buyer could pay all the money due under the contract and then be left with a title problem. In addition, if the seller dies during the term of the contract, his heirs could look for ways to not honor the contract. Another con for the buyer is the loss of the down payment and all payments upon default. In Ohio, for example, a buyer who has paid for less than 5 years and has less than 20 percent equity can be removed from the property without a foreclosure proceeding, which means the buyer has little or no legal protection.